Davao Oriental is a goldmine of natural wonders. The province is well endowed with about 400 kilometers of unspoiled white sand beaches - a favorite water sports hub of locals and tourists for surfing, diving, skim-boarding, and snorkeling. 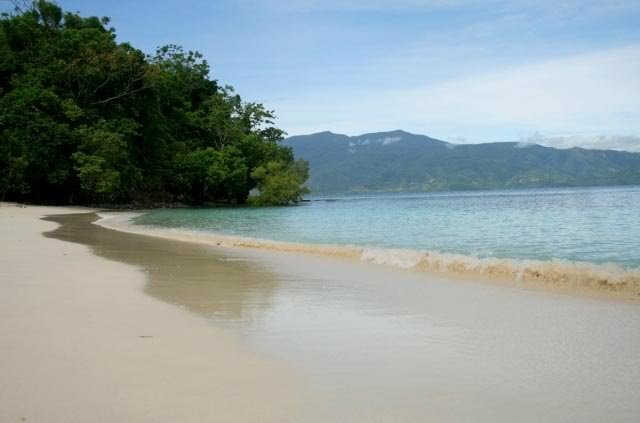 And situated some 230 kilometers from the heart of Mati City is an island unspoiled and undisturbed by commercialization - the Pujada Island. 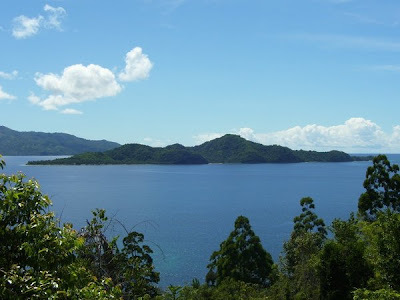 This 156-hectare island of lush mountainous greenery that rises to a height of 558 feet surrounded by a shoreline of powdery white sand beach, lies within the pristine blue waters of Pujada Bay in the eastern part of Mindanao facing Barangay Magum in the east and overlooking the vast of waters Pacific Ocean in the north. Despite the Island being a major tourist attraction, it remains undeveloped, with no resort or even a single cottage that would shelter visitors. There is no receptionists to welcome guests - only the beauty of solitude and tranquility that only nature could give. 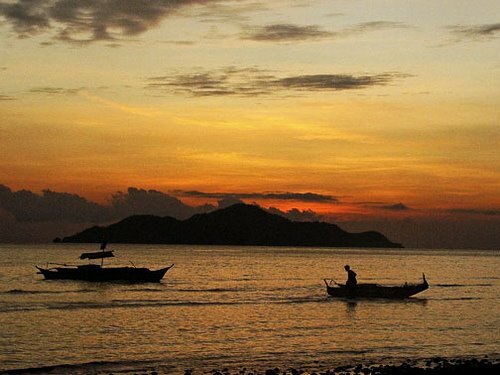 The Island is shared by Barangays Lawigan and Macambol and is populated only by caretakers whose task is to guard the Island from abuse and to maintain its pristine condition. Taking anything from the Island is strictly prohibited. The area that surrounds the Island is a marine protected area. With the Island's gentle-lapping turquoise waters against its pristine white sands amid a lush landscape of hardwood trees, natural ponds, and sanctuaries of birds and fish, this tranquil, but not too remote island, promises an all natural quiet retreat for nature lovers - secluded, uninhabited and unspoiled, far away from the deafening noise and toxic demands of urban living. 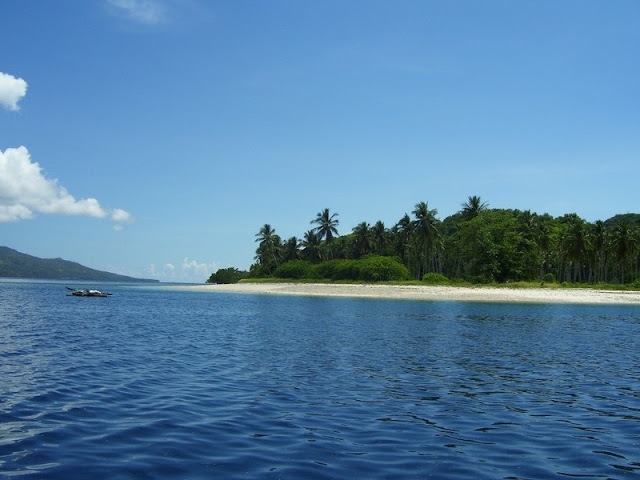 Getting to the Island is usually via a 45-minute motorized boat ride from the shores of Barangay Bobon which is about an hour and half drive from the city of proper of Mati. Mati City is approximately 165 kilometers, or about 4 hours drive from the Davao Ecoland Bus Transport Terminal in Davao City. The easiest way to get to Davao Oriental is through the Madaum diversion road which is shorter than the Davao-Tagum highway via an overland bus ride bound for Mati City. I'd like to have the exact address and contact numbers of this beach resort. Its interesting!HOPE to book my vacation here. 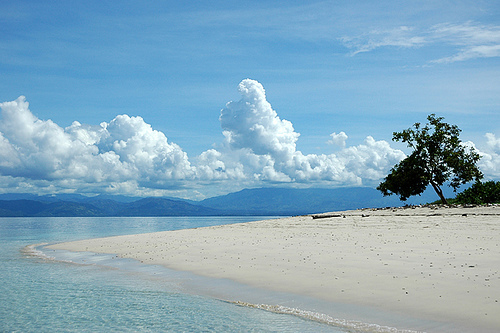 While Pujada Island is privately owned, there are no beach resorts or cottages therein. Only a handful of caretakers are there to safeguard the island from abuse and to maintain its pristine condition. Visit to the island is FREE and guests are permitted to enjoy the beauty and tranquility of the island.